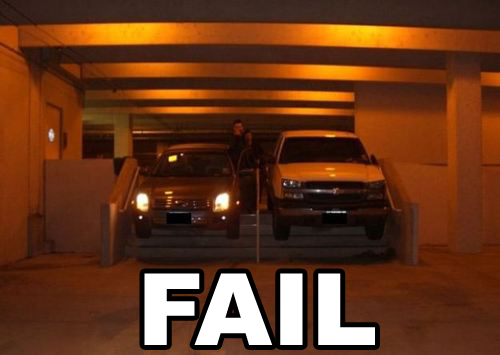 The car on the left was the 2nd victim to enter the staircase and was the source of the noise. Both vehicles took on significant damage, with the car on the left losing its back bumper during its escape attempt just a few minutes later. If you look closely enough, you can almost make out the driver of the car giving Dean the finger while he is taking the picture.